Sorry for our power outage. Please send your tax information now. March 17 is the due date for calendar year corporations. Second real estate payment date is April 10.
Business personal property tax report is due April 1. Jay Abraham offers FREE information downloads. Atlanta Journal-Constitution has a series of inspirational articles. IRS releases instructions for net investment income tax form. Foreign account report changes for 2013. Tax Court disallows IRA rollovers from separate IRA accounts. Court of Appeals says IRS registration program exceeds authority. Visit our new article: The Everything Store. 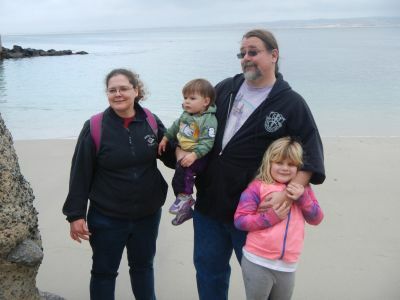 My daughter Dawn Siemer with her husband, John, and her daughters, Kara and Minerva, at Lover's Point, Pacific Grove. St. Patrick's Day falls on March 17. We celebrate everything Irish in America on that day. It's a great day to play George M. Cohan music. The four leaf clover that we talk about in the United States isn't popular in Ireland. St. Patrick used the three-leaf clover as an analogy for the Holy Trinity. If you tried to call us on Monday, March 3, you probably didn't even hear a phone ring. We had a power outage, which knocked out our telephone system. Sorry for any inconvenience to you. We lost a day during tax season. Yuck! My sister, Arlene Gray McLean and my brothers in law, Wade Allison and Lane Johnston, are celebrating birthdays during March. Happy birthday! Our priority for tax return preparation is mostly on a first-in, first-out basis. If we haven't received your tax information by March 15, we will probably apply for an extension of time to file your income tax returns. If you are missing some 1099 forms from an investment account or a Schedule K-1 for a partnership, please send the rest of your information now and the rest when you receive it to be "in the queue" and have your information otherwise processed in case an extension is required. Remember March 17 is the due date for calendar-year corporations. March 15 falls on Saturday; the next "business day" is Monday. Accrual basis calendar-year corporations should have accrued expenses such as bonuses for 2013 payable to unrelated employees, paid by March 15, 2014. This is a date that's easy to slip by. Remember to make the second California real estate property tax payment by April 10, 2014. There is a nasty penalty for late payments. Why not take care of it now? The annual California business personal property tax report is due to the County Assessor by April 1. These forms are now usually efiled. Here are our interns this tax season, Brooke Narin and Hien Nguyen. Our interns this tax season are Brooke Narin and Hien Nguyen. Brooke graduated as a Dean's Scholar from San Jose State University with a Bachelors of Science in Accounting degree in December 2013. She met her husband, Bill Narin, who is an American citizen, in Vietnam in 2003. They were married there in 2006 and came to the United States in 2007. Bill works in sales and is starting a business in broadband wireless services. They have two children, Lani, age 4 and Brian, age 1 Â½. Brooke's hobby is knitting sweaters for her children. Her goal is to pass the CPA exam and become a CPA as soon as possible. 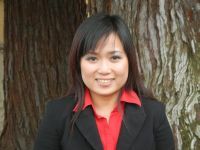 Hien came to the United States by herself in 2008. She is working on her final class, Auditing, to graduate with a Bachelor's Degree in Accounting from San Jose State University. She met her husband, Binh Nguyen, in 2013 and they were married last June. Binh grew up in the United States, so Hien is teaching him Vietnamese. They are planning a big wedding celebration in Vietnam next December. 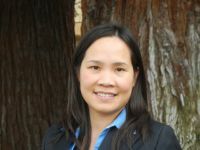 Hien enjoys traveling and has visited many destinations in the United States. Marketing guru Jay Abraham is offering FREE ebooks and videos at abraham.com/2014gifts/. Much of the material is about crowd funding. There are no strings attached! Check it out. Dan Kennedy recently shared a series of inspirational "Horatio Alger" articles being published in The Atlanta Journal-Constitution about local entrepreneurs. Here are true stories of "regular folks" taking control of their own lives with "low tech" businesses. Check this link out often for new additions. www.myajc.com/list/business/secrets-success/aKKx/. The IRS has finally issued 20 pages of instructions for Form 8960, Net Investment Income Tax - Individuals, Estates and Trusts. This is the 3.8% tax on net investment income for high-income taxpayers, which became effective in 2013. You can get the instructions at www.irs.gov. The form number for reporting foreign accounts has changed to Form 114 from Form 90-22.1 for 2013. The form should only be efiled for 2013. Remember the due date for the form for 2013 is June 30, 2014, and no extensions are permitted. The "timely mailed is timely filed rule" also didn't apply to this form, but the issue should be eliminated with efiling. Tax Court disallows IRA rollovers from separate IRA accounts during a one-year period. A taxpayer rolled over IRA distributions made from separate IRA accounts during a taxable year. The Tax Court upheld the IRS in finding that only one distribution from one account may be rolled over during a one-year period. The Tax Court clearly states that only one distribution from an IRA during a twelve-month period can be rolled over by redepositing it to an IRA. Any subsequent distributions during the twelve-month period won't qualify. According to CCH's commentary, the ruling contradicts previous guidance from the IRS in proposed regulations and in Publication 590. The U.S. Court of Appeals for the District of Columbia has affirmed a federal district court decision against the IRS's registered tax return preparer program. The IRS attempted to establish minimum competency and annual continuing education requirements for all tax return preparers. The competency and continuing education requirements don't apply for CPAs, enrolled agents, and attorneys because they have their own requirements to fulfill. Here are the scheduled interviews for March and April.